To help children learn more about robotics and electronics, a new build your own robot kit has been created, aptly named BYOR. 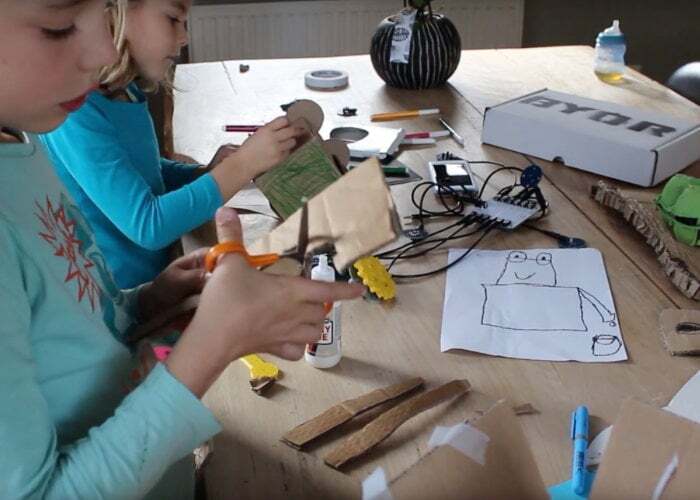 Designed by engineer Teun van Roessel based in Eindhoven in the Netherlands the kids electronic robot kit is combined with arts and crafts to provide a versatile and user-friendly way to start building electronic systems. Watch the demonstration video below to learn more about the BYOR robotic kit which has this week been launched via Kickstarter and is now available from €109 to early bird backers. With worldwide shipping expected to take place during June 2019. For further details and full specifications jump over to the BYOR official Kickstarter campaign page by following the link below.